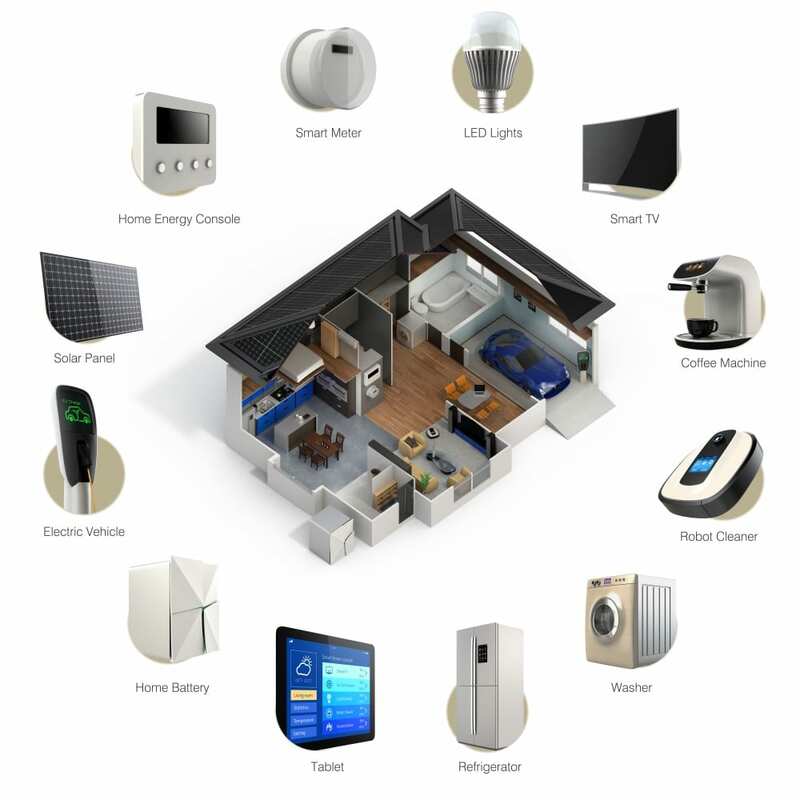 Smart House is a part of IoT(Internet of things) which is basically the network of physical devices, vehicles, buildings and other items — embedded with electronics, software, sensors, actuators, and network connectivity that enable these objects to collect and exchange data. The big part of IoT are home automation systems or as we better know it as a smart house. They are growing with exponential rate last couple of years. We wrote about the growth of smart houses in our previous article that you can check here. Why should I get for my smart house? Well, there are lots of advantages of using smart home technology. From energy saving, controlling lights and appliances to any other smart house technology that connects to your smart home systems. What can I control in my smart house with home automation? What to look for in a home automation systems? There are a couple of information that you must consider when buying a home automation system. The first thing you need to consider is what do you actually need for your smart house. When you know that you will be able to choose a better system for you and pay less because you will not be buying systems that you don’t need. When you want a full control of your smart house you need to look for a controller that supports common home control technologies like Bluetooth, Insteon, KNX, UPB, Wi-Fi, X10, Z-Wave and ZigBee. More on protocols for home automation you can check on our previous article about home automation protocols..
Functionality is pften overlooked over specification and performance but an important part of any home automation system. You need to be able to use your home automation technology with ease and no effort for it to make sense. Like with any technology, good support is the difference between good product and bad product. Things to look at are a telephone, email, user manuals and FAQs. Less common but useful support features, such as a live-chat option and user forums, can be helpful as well. We have selected 10 best automation systems for your smart house. In this article, we will introduce each one, and will have a follow-up article for every system individually. HomeSeer is good home automation all in one system that lacks a few control technologies and is a good choice for your home. Iris this system comes with a good feature set, easy controls, and great software compatibility. Creston home automation system supports one of the largest networks of brands on the market. Control4 is an all-in-one home automation system, few packages can beat the ease of use that Control4 provides. Savant Savant is a high-end home automation system that runs on Mac OS X computers and iOS smartphones and tablets. SmartThings is a home automation system that found its place in the market thanks to a popular Kickstarter crowdfunding campaign and a recent acquisition by Samsung. Vera Control Ltd. offers smart home controllers with good device and software compatibility. Staples Connect Staples Inc. is part of a growing trend for retailers to offer home automation systems. In this case, Staples has partnered with Zonoff, a home automation software company, to create the Staples Connect smart home system. Wink , the newest home automation system in our review, is the brainchild of Quirky, an online invention platform. Nexia is a simple home automation system that offers some useful tools for smart home beginners. We use Savant lamp Control at our house,looks simple,and elegant. It has made our lives easier,cut costs on our energy bills and power consumption.